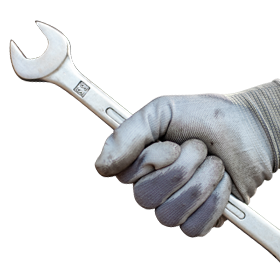 Selecting the right Air/Fuel Ratio Gauge for your vehicle can become difficult if you don’t know what you’re looking for in a reliable gauge. 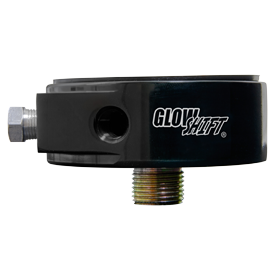 GlowShift Gauges offers users with two types of Air/Fuel Ratio Gauges, Wideband Air/Fuel Ratio and Narrowband Air/Fuel Ratio, that will indicate if your air fuel ratio is running Lean, Optimal or Rich mixtures. For the enthusiast who really wants to tune their performance vehicle, the Wideband Air/Fuel Ratio Gauge is your choice as it allows for extremely accurate gauge readings down to the decimal place, as well as quick glance indications with the three color LED ring. For users who want general air fuel ratio readings, then the Narrowband Air/Fuel Gauge is ideal. Below is a breakdown of the two types of Air/Fuel Ratio Gauges with all of their featured capabilities and included components. 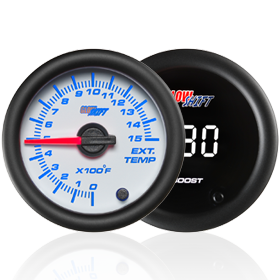 GlowShift’s Wideband Air/Fuel Ratio Gauges are the perfect accessory for anyone looking to maximize and tune their performance vehicle along with closely monitoring their air to fuel ratio mixture. This allows for multiple benefits to your performance vehicle including reduced emissions, a higher fuel economy, as well as maximized power output of engine performance by allowing you to carefully map out your vehicle’s air to fuel ratios throughout the range of RPM and manifold pressure. Wideband Air/Fuel Gauges are offered in both digital and analog models that include all necessary sensors and wiring harnesses to ensure a complete installation. Digital Wideband Air/Fuel Gauges are available in our Tinted 7 Color, Black 7 Color, White 7 Color, Blue Digital, Red Digital and Tinted Gauge Series. These feature a digital readout that displays the vehicle’s air fuel ratio from 20.0 to 10.0 AFR down to the decimal place. Each Digital Wideband Air Fuel Gauge also features a three color LED Ring that allows for quick glance readings that indicate Lean (Red), Optimal (Yellow) and Rich (Green) values (not available for Blue Digital and Red Digital Gauges). Analog Wideband Air Fuel Gauges can be purchased in our Elite 10 Color and White Elite 10 Color Gauge Series that feature Stepper Motor Technology which allows for extremely smooth and stable needle movement for the accurate results you expect from your Wideband Gauge. What really sets the Wideband Air Fuel Ratio Gauge apart from the Narrowband Air Fuel Gauge is the Bosch LSU 4.9 Wideband Oxygen Sensor and Digital Wideband Controller Unit. This Bosch Sensor installs to your vehicle’s exhaust pipe with the included Weld-In Bung and relays AFR statistics directly from the source. 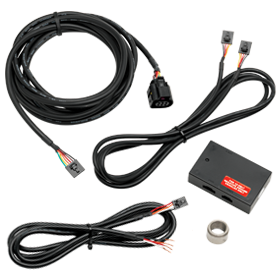 Other components included with each Wideband Air Fuel Gauge are the 13 ft. Sensor Harness, 6 ft. Controller to Gauge Harness, and 5 ft. Power Harness. GlowShift’s Wideband Air/Fuel Gauges also feature a data logging capability that allows you to send output signals to an aftermarket data logger for even more in depth tuning. 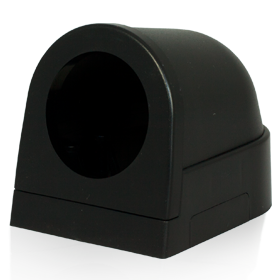 Unfortunately the data logging capability is not available for the Tinted Series Wideband Air Fuel Gauge. Although a Wideband Air Fuel Gauge is a more expensive option than a Narrowband Air Fuel Gauge, it is the best for anyone who wants to closely monitor their air to fuel ratio mixture with unrivaled accuracy and reliability. GlowShift’s Analog Narrowband Air/Fuel Gauges indicate general engine air fuel readings of Rich, Optimal and Lean mixtures. This Air Fuel Gauge installs directly to your vehicle’s existing narrowband oxygen sensor with the included wiring harness. 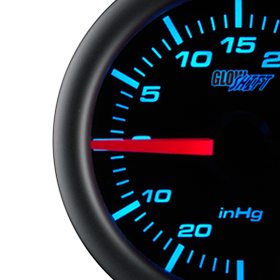 GlowShift offers Narrowband Air Fuel Gauges in virtually every gauge series including Tinted 7 Color, Black 7 Color, White 7 Color, Elite 10 Color, White Elite 10 Color, as well as Red Digital, Blue Digital and Tinted Gauge Series. A Narrowband Air Fuel Gauge is a great option to ensure your vehicle’s engine is not running on the lean side, but it will not give you the precise readings like Wideband Air Fuel Gauges that utilize Bosch’s O2 Sensor and Digital Wideband Controller. Dual Intake Temperature Gauges Now Available!